Here is more press for Kevin Cannon and his graphic novel Far Arden that he recently printed 100 copies of… note that Far Arden can be read in its entirety online here. The Broken Frontier Interview I posted the other day now has the second part up. 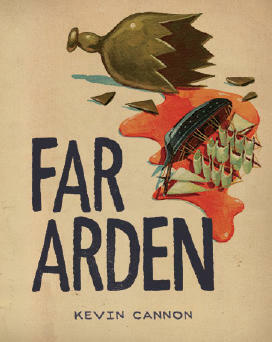 Far Arden is reviewed at Kleefeld on Comics here. Note that if you are in Minneapolis and you want a copy, I’d buy it soon at the Lutefisk Sushi show at Altered Esthetics. There aren’t many left.